You started a blog. You are trying to actually get people to read your content. However, it feels like a virtual ghost town and in some cases, you can’t even hear crickets. You think no one is reading your blog. Been there, done that. You no longer have to feel like that. 1. YOU ARE NOT BEING PARTICULARLY USEFUL. The number one rule (in case you didn’t) know is to provide insanely useful content that your ideal clients can’t ignore you. When you provide such useful content, people will keep coming back to read your blog posts & refer you to their networks. Think in terms of long-form posts of at least 1,500 words. 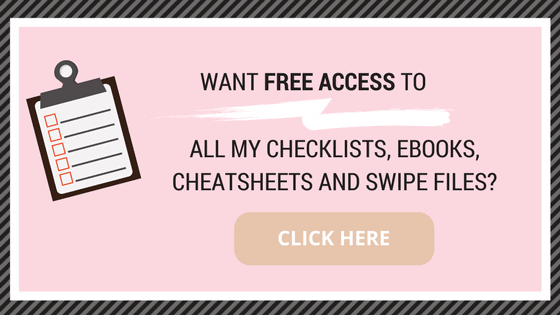 Offer free checklists, worksheets or e-books to your readers. Make sure that your tutorials are in depth and can actually reproduce results for people. 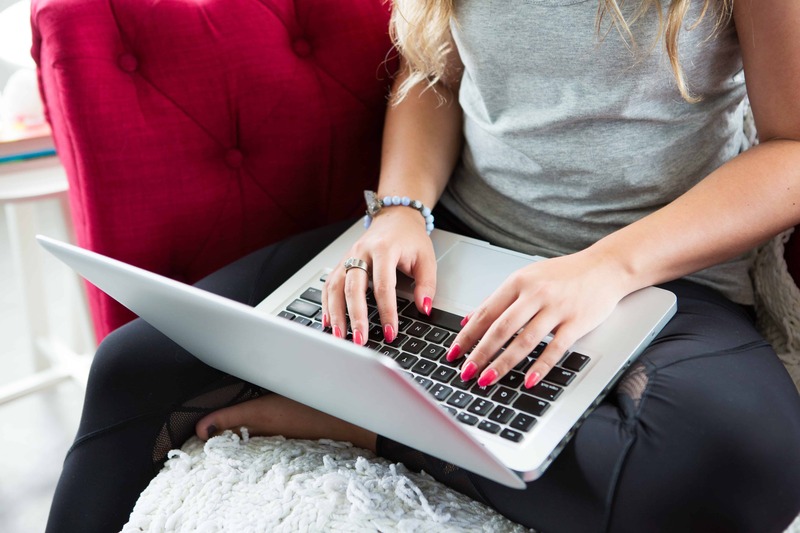 People will get addicted to your blog if you give detailed information, not vague high level regurgitated content that can be found anywhere on the web. Trust me. I have my favorite blogs that I go to over and over because they give me useful, valuable pratical tips that get me results. What is a problem they are having? What detailed solution can you offer them? 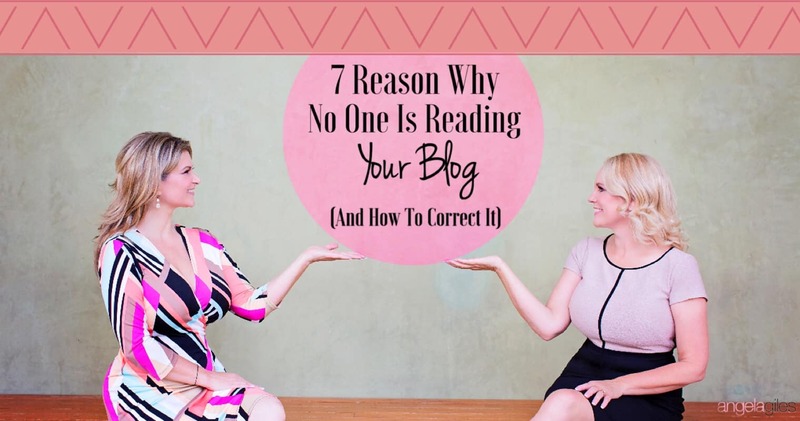 Be super clear in answering these questions, then get busy and begin writing your blog post. The #1 thing I preach constantly to my private coaching clients is to show the freak up, sister! 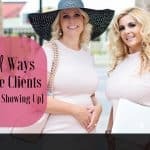 I tell them, if you don’t show up consistently every day in your Facebook group or do your marketing activities you are not going to fill your programs. The same principle applies to blogging. If you blog every week, your people are going to expect a new blog post ever week. 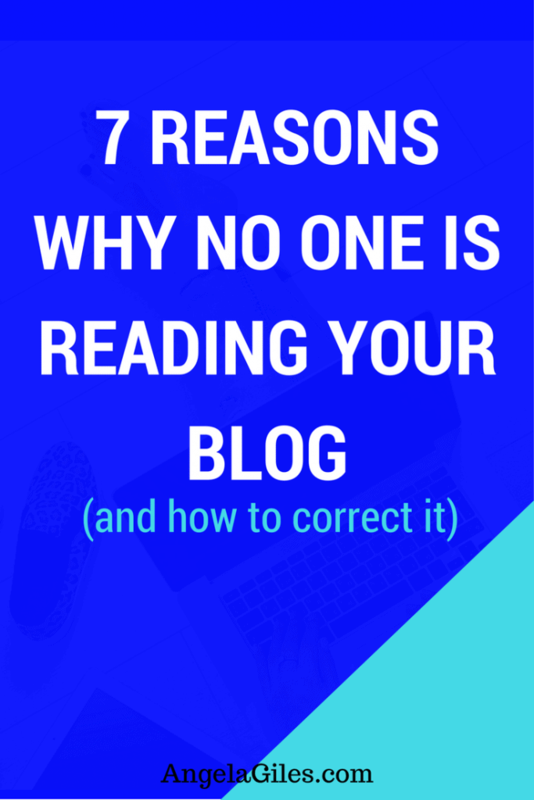 You can write the best most detailed blog posts but if they are inconsistent, your readers are going to go elsewhere to find what they need. So all that hard work you did to get new readers, goes down the drain. Honestly, what is the point then? You must be consistent in your blogging and marketing efforts. I highly recommending creating a content and scheduling calendar. For example, I have a quarterly content editorial calendar. So, I know exactly what I am going to be writing about for the next 90 days. In addition to that, you can use a social media scheduling tool like Hootsuite. Hootsuite will help you be more consistent with social media and sharing your blog posts. 3. YOUR WEBSITE IS NOT BRANDED PROPERLY. If your site is not brand properly, your audience will leave. People will see you as a professional blogger if you are branding is positioned properly. For example, I recently had to switch over my branding from a corporate look to more of a personal brand. While I have a few corporate clients the majority of my work comes from my online business. When I took a hard look at my website, I realized it wasn’t reflecting what I actually do online which is blogging and coaching. Great thing, I have a fabulous designer in house who pointed this out to me. This doesn’t mean you need to rush out and spend a fortune on a new website design. It just means make a few tweaks if necessary. I would highly recommend that you decide on your primary colors and fonts. This way all blog posts will be consistent and it will appear more focused and professional. 4.YOUR SITE IS NOT FOCUSED. I get it! You have a lot of interests and want to blog about them all. Have you heard the phrase Jack of Trades, Master of None? From my experience that means very little income. When you master a craft and niche it down, you stand to make a small fortune. The same goes for blogging. When you blog about everything under the sun. Great! It may be the perfect solution for you to share your interests and it feels fabulous. However, it probably is not paying the bills and giving you the lifestyle you are looking for. Quite frankly, it will be harder for you to grow your audience because your target audience is too broad. If you focus your blog enough, then you will be able to grow your audience much faster. Then guess what, naturally anyone who comes to your site will want to read pretty much every article. It becomes the one stop shop for ___________. 5. YOUR USE OF SOCIAL MEDIA IS LIMITED. If you are a blogger you need to think of your blog as a spider web. Your blog sits in the center and then it has all kinds of connections that fan out. The connections are your social media networks. 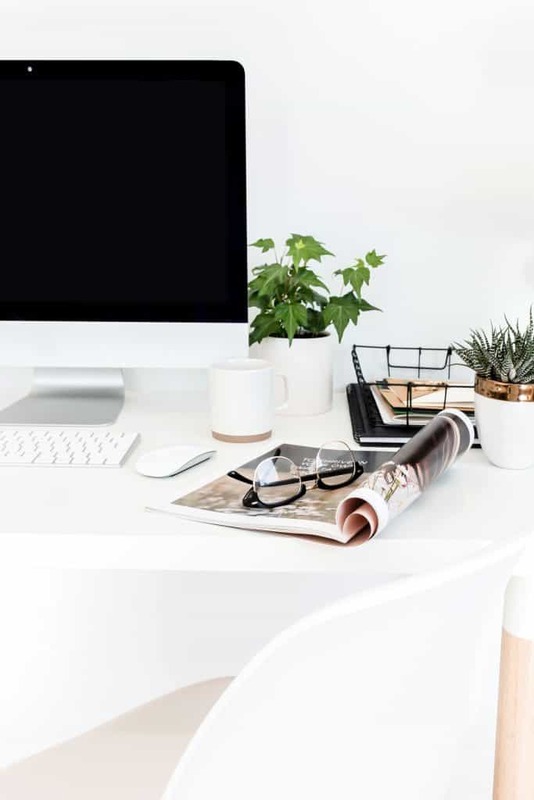 To grow a flourishing blog, you need to nourish these connections. Related: Get Your 1st 5,000 Instagram Followers & Put Money In the Bank. 6.YOU ARE NOT MAKING USE OF BLOGGING COMMUNITIES. 7. YOU ARE NOT INVOLVED IN FACEBOOK BLOG GROUPS. Another one of my favorite ways to increase my blog exposure is to become part of the many Facebook Blogging Groups. 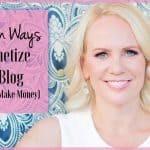 You can make great connections and learn more strategies to increase your audience and grow your blog. There are often blog challenges that go along with these Facebook groups to help you learn even more. Heck, I just did a great 30-day challenge and learned about a new blogging community that has brought me 90 new views in the past week. Simple little hacks that can turn into major traffic generators. Boom! Do a search on Facebook and find blogging groups that are general and niche specific. Join the ones that you feel would support you the best! Have you ever heard of the phrase – “The easiest way to eat an Elephant is one bite at a time”? That is exactly what you need to do here. You don’t have to do all of these strategies at once. Start with one, work at it, master it and grow your audience. Then add more as you get going. SHARE IN THE COMMENTS BELOW WHICH OF THESE STRATEGIES YOU ARE USING NOW THAT ARE WORKING FOR YOU. Great tips, I’ve just joined triberr. Now just to figure it out, lol. Thanks for the great tips!!! Super Tips! you are right! No one is gonna read even a quote of your if you do not sound like an authority in the niche. I am Going to share it in my G+ community. Thanks for sharing these tips Angela. I have been blogging for 6 months now with a keep-going-or-stop review at the end of this month (August 2018). This excellent, on point, insightful blog mirrors many of the harsh lessons I have learnt over the last 6 months and 100% points me in the right direction to continue for at least another 6 months. Really great, clear and helpful advice. Thank you Angela!